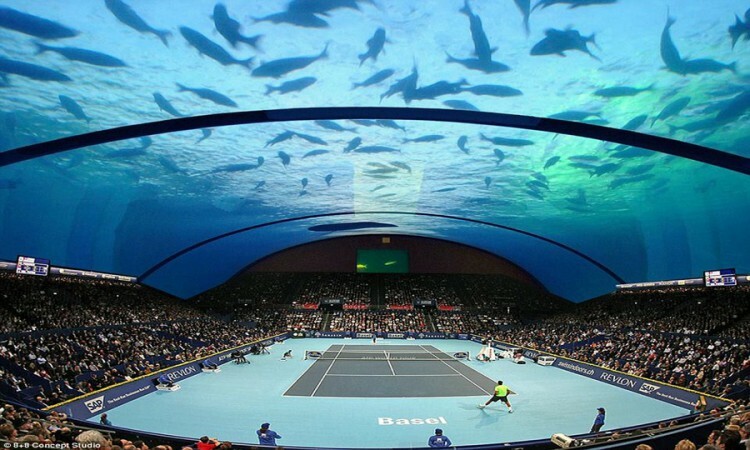 (The World’s) Top 5 Most Amazing Tennis Courts! The ultimate grand slam tournament is underway this week and this years Wimbledon has been grabbing headlines across the sporting world. To feed your tennis appetite we have hand picked the world’s top five most amazing tennis courts that will take your breath away and are the ultimate dream setting for any tennis player. 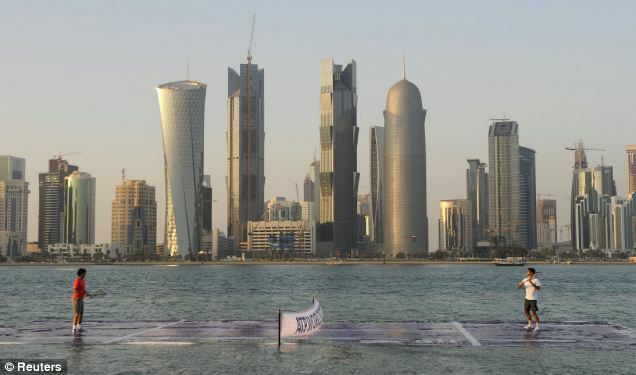 In 2011 a tennis court was erected and could be found floating in the middle of a lagoon in the Persian Gulf. The court was put there especially for Roger Federer and Rafael Nadal to play a few games on to promote the upcoming ATP World Tour. Although the two tennis players usually avoid wet courts they both said they thoroughly enjoyed the experience and luckily neither slipped in! 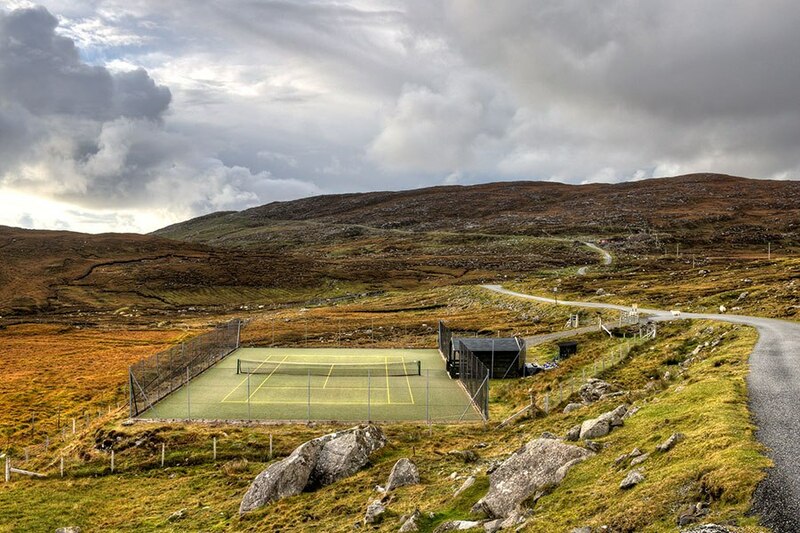 Nestled amongst the hills of the Scottish Out Hebrides sits a pristine tennis court. Compared to the backdrop of the weathered coastline this court looks almost photoshopped into the picture. A remote beauty and one not to be missed if you are visiting Scotland this summer! A wealthy family living in New York who wanted a sporting pavilion built that they could use commissioned the Rhinebeck court in 1902. The building that the court sits in is magnificent and the facility also houses squash courts, a bowling alley, a shooting range and one of the country’s first indoor residential swimming pools! In 2005 a helipad 650 feet above the ground on top of Burj Al Arab hotel in Dubai was temporarily converted into the world’s highest tennis court. It was done to promote the ATP’s Dubai Duty Free Men’s Open and was used for a match between Roger Federer and Andre Agassi. The court looks amazing balanced over Dubai’s skyline however during the match they did lose a considerable amount of tennis balls! Don’t get too excited this hasn’t been built yet however there are plans for this project to get underway after an architect from Poland proposed the idea which could be built just offshore in the Persian Gulf, not too far from where the highest tennis match in the world was played. Part sports arena, part aquarium, the concept calls for a rooftop coral reef, which would bring sea life to the area for spectators to see! 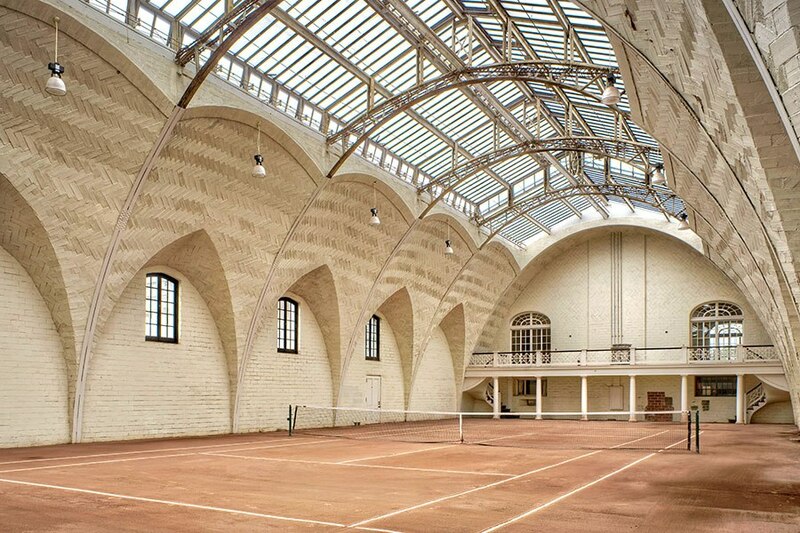 Are you a budding architect that loves tennis or do you just want a court nearer to your home? Then don’t sit around and hope that one will get built, start a fund raising project, get others involved and see your dream made a reality! Shareagift can help you with any fundraising ideas you have from building a local tennis court to seeing your favourite band back on the road. Collect money online and see your visions come to fruition! So what are you waiting for! Start your campaign now! Previous Post10 Facts You Didn’t Know About Wimbledon 2015!